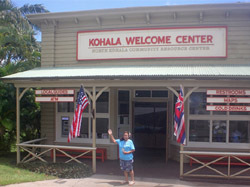 The goal of the KHS College Tours Program is to provide Kohala High sophomores and juniors with the opportunity to visit colleges on the mainland to prepare them to make a decision about post secondary education. Their first excursion is planned for spring 2015. Tia Ubilas, 889-7117.